I haven’t tried these themes, but they were so pretty, I just had to share them with you. If you are looking for an unusual theme for your WordPress site, I would like to offer the following group of one dark theme and two white ones. Royale – this is simply beautiful as a dark, rich, textured site. Leaning toward a gothic/dark victorian feel, I can imagine many incarnations of this basic black site. 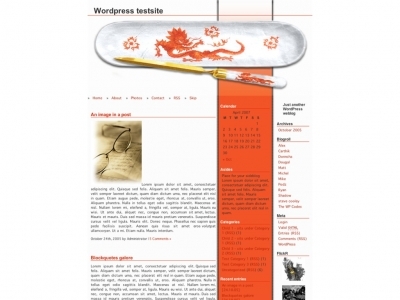 Zen – (from designer, MiloIIIIVII) This sleek Asian themed, 3-column orange site is both simple and striking. It’s widget read (plugins required) and offers a fixed width format. 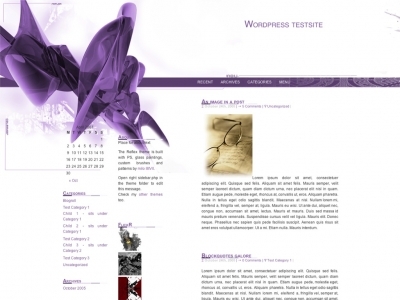 One Response to "WordPress Wednesday: In Black and White"